When Dr. Gary Lainer first started working as a kennel boy in a local veterinary clinic, animal medicine wasn’t as advanced as it is now. With only a few tools and medications, the doctors that Dr. Lainer worked under were able to cure or fix just about anything! Dr. Lainer always admired this, and decided early on that he would set his sights on becoming a veterinarian himself, utilizing this same spirit of invention and expertise. Originally from New Jersey, Dr. Lainer started his education at Northwestern University in Chicago. After a few years of overseas schooling, a doctorate degree from the University of Missouri, and a preceptorship at the Animal Medical Center in New York City, he began working in animal clinics as an Associate Veterinarian. 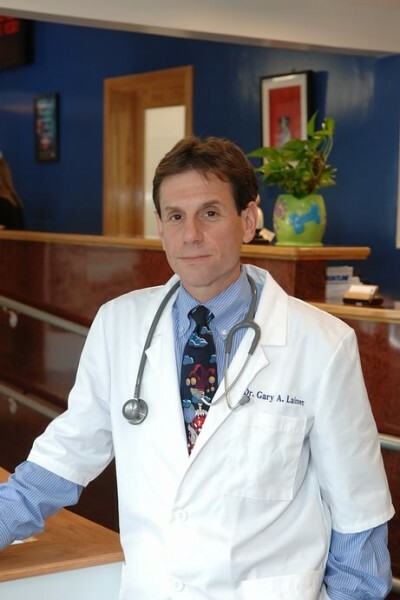 For nearly 10 years, Dr. Lainer soaked up knowledge from skilled veterinarians in Annapolis and Baltimore, as well as in the Massachusetts North Shore communities of Andover, Arlington, and Stoneham. 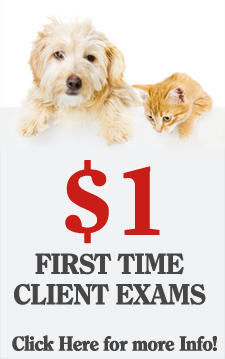 Only when he’d reached his own high standards of proficiency did he decide to build and open his own practice—Lainer Animal Hospital in Canton, Massachusetts. Outside of work, Dr. Lainer enjoys playing sports like soccer, racquetball, and golf, and even plays soccer on a league in the greater Boston area. He and his wife are avid travelers and hikers, and have backpacked through many exotic locales including South America and South East Asia.